Few find the courage to take on transatlantic crossings. Fewer are driven to take the crossing on as a race. A smaller group still chooses to compete singlehanded. The smallest group perhaps is composed of those who race across the Atlantic, singlehanded under the age of 25. Meet Alan Roura. Alan, who is 22 years old, already has 70,000 miles behind him of which 20,000 were undertaken solo. Alan and his co-skipper Juliette Pêtrès took on this year’s Transat Jacques Vabre aboard the Class 40 ‘Club 103’ powered by Ullman Sails. Both Alan and Juliette are safe, but regrettably they sustained damage less than 24 hours into the race and were forced to turn back to shore to care for the boat. The team sailed to Lorient to fix the damage. Once the repairs were complete they set out again; mounting their comeback attempt. We sat down with Alan before his departure to discuss all that he had done to prepare. Read on and get a unique look at the TJV and the philosophy of an offshore competitor. And you can track their progress here. Q: At 20 years old you competed in the 2013 Mini-Transat. 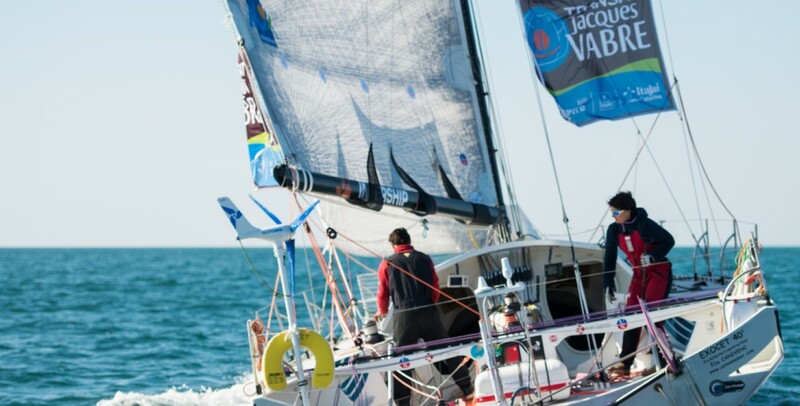 Now at 22 you will be one of the youngest competitors in the Transat Jacques Vabre. How has your age affected your previous transatlantic races and how will it play into this one? A: Firstly, I want to say that to be young is not easy. Finding sponsors and earning the respect of the other sailors is a challenge at my age. I started sailing the 6.50 Mini at just 19 years old, using a wooden boat from 1994 (just a year younger than me). The 2013 Mini-Transat was a dream though and I was lucky to finish 11th overall. I have so much respect for older skippers. When we are young we have the physique to take on the challenge, but less experience. The Transat Jacques Vabre is a really long race. We have a quarter of the world to navigate, it’s in bigger boats, and all the sailors are experienced professionals. But this does not intimidate me, no matter if there are a few fancy new boats we’ll be up against. We have a nice Class 40 that I’ve skippered since the beginning of 2014. I’ve already sailed over 70,000 nautical miles so I think I’m ready to go. This season I’ve worked really hard to show that age is not important – if you love what you do, and if you know how to sail well, then the ocean is yours. Q: In the Transat Jacques Vabre, which will be your fourth transatlantic crossing, what are you most looking forward to in the race? What do you think about the extra space and power of the Class 40? What are the biggest differences between the Mini-Transat and the Transat Jacques Vabre? A: For the Jacques Vabre, I am looking forward to having a great race. 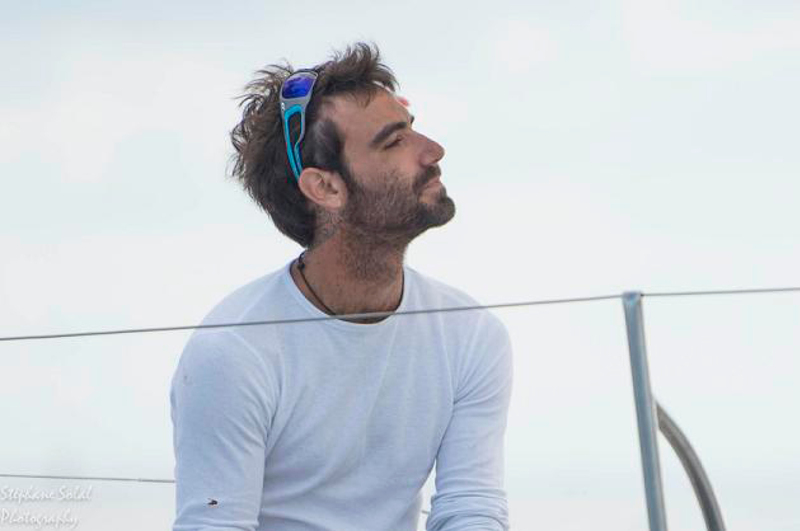 In the 2014 Route du Rhum I had to stop after just 24 hours of racing as my boat was sinking. I even ended up at the hospital in Roscoff, France. For this I must now take revenge! After competing in the Mini I have found the Class 40 is simpler to sail, but harder to achieve a top result. On my Class 40 ‘Club 103’ I only have 750 liters of ballast on each side, the sails are bigger, and everything is heavier on board compared to the Mini. The change in performance is really nice though, especially the boat’s power. You are constantly sailing at 10kts, and can easily get up to 20kts, all while staying in control. But I don’t think I will be able to achieve the highest speed that I did on my Mini – 21.9kts on a 6.5m boat out on the middle of the Atlantic. It was thrilling. The two races are very different. The Mini-Transat is a big adventure — the fleet has over 80 boats crossing the ocean, nonstop, singlehanded. The Mini is really small and has to be able to carry all the food and spare stuff you need. On top of that you’re not allowed to use satellite phones, computers or access weather information. Physically it’s challenging as well, you can’t stand up, or lay down for 25 days. The Class 40 is luxury compared to that. For the Jacques Vabre we have access to all the technology we couldn’t in the Mini and a lot more space. I really like the Mini spirit though – it is just like racing 30 years ago, one boat, one man, and a sextant. That is a race. Q: How have you prepared for this event? 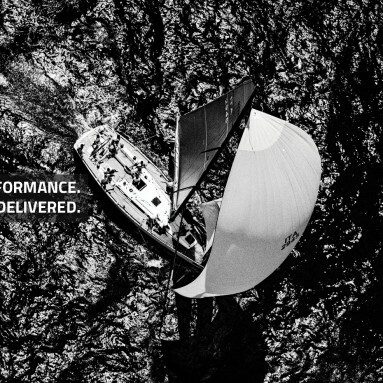 You worked with Ullman Sails team in France, to develop new sails. What was involved in the sail development process? 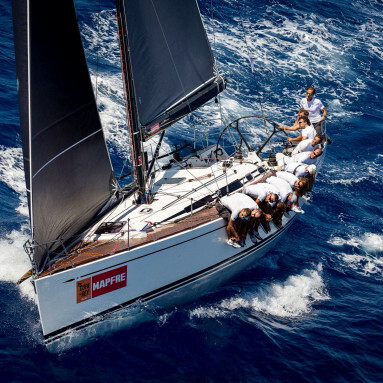 A: The Transat Jacques Vabre requires us to sail a quarter of the way around the world double handed. We must be at the point of perfection to be competitive. I’ve worked day and night for the last 6 months on ‘Club 103’, spending 2,000 hours on the job alone. I want to know my boat perfectly and be able to fix everything on board while in the middle of the Atlantic. The boat is from 2010, but still I updated everything to ensure we finish the race without an issue. 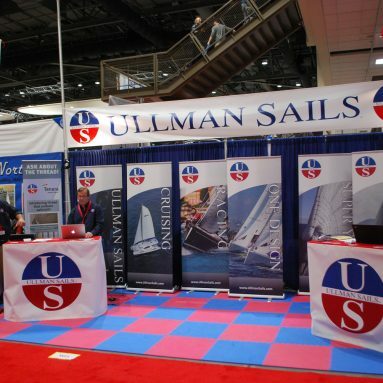 Working with Ullman Sails has been perfect for me. We have worked together for a long time to ensure that we have exactly what we want, and to make this Class 40 as powerful as possible. Ullman Sails has taken the time to understand me and the way I want to race. Working together we have been able to design and build the right sails for the project. From the loft: To develop the Class 40 sail designs, we worked with Alan, the Ullman Sails Advanced Design Team, and consulted the experts at SMAR Azure, our sail design software provider. 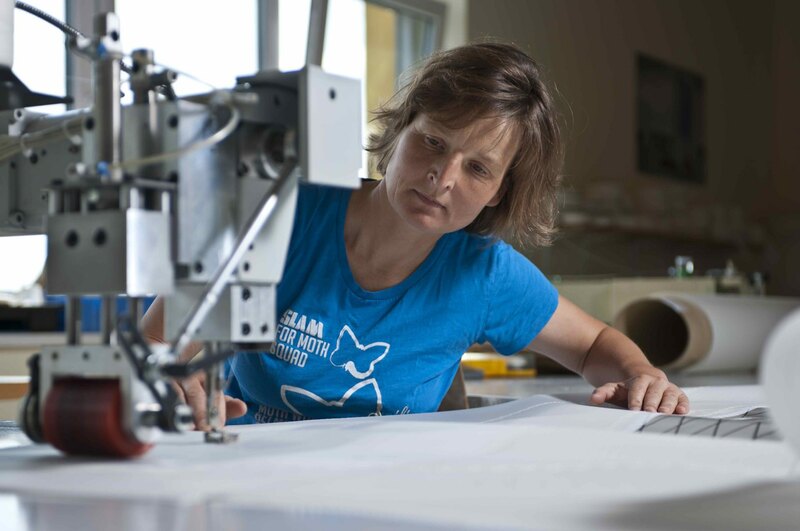 We started with what had been successful in previous Mini-Transat and IRC sail shapes to craft the fathead mainsail and the jib for ‘Club 103’. Multiple designers collaborated on the designs, sharing feedback and ideas to ensure ultimate performance was achieved. Q: What attracted you to competitive long-distance offshore racing? Are you interested in pursuing around the world racing? What are the most rewarding elements of an Atlantic crossing? A: I really love sailing alone over long distances. In the 2013 Mini-Transat I felt like I had only just begun to have fun in the last week of the race. So for me the next project is the Vendée Globe. After the 2013 Mini-Transat, 2014 Route du Rhum, and 2015 Jacques Vabre, for sure I plan on getting on a bigger boat (IMOCA). Sailing long distances alone is just freedom, fun, and power. You know when you depart but never if you will comeback safely. This is the power of solo sailing! When I say goodbye to my family, I really don’t know if I will see them again. Atlantic crossings are simple; you open your bottle of Rum and drift from France, and a while later you arrive in the Caribbean. But racing is totally different, and that is what makes it so cool to me. This Jacques Vabre is my fourth Atlantic crossing, next year it’s around the world! Many thanks to Stephane Solal for photos and updates (@Stephane SOLAL/Go-image.com)!